A common approach is to identify different options for organizational structure and then analyze tradeoffs (e.g., pros and cons or degree attractiveness by objective). That said, I wanted to share another perspective that has carried me a long way. It is the concept of first identifying strategy and second aligning structure. One concept that I describe in my recent book, Inside Nudging: Implementing Behavioral Science Initiatives, draws from Roberto Verganti. He uses the term, “Design-Driven Innovation.” I re-coin the concept as “Meaning-Driven Innovation” to ease the explanation a bit. The concept is that in order to innovate under such a framework, one needs to change the relationship between the product or service and the end user. 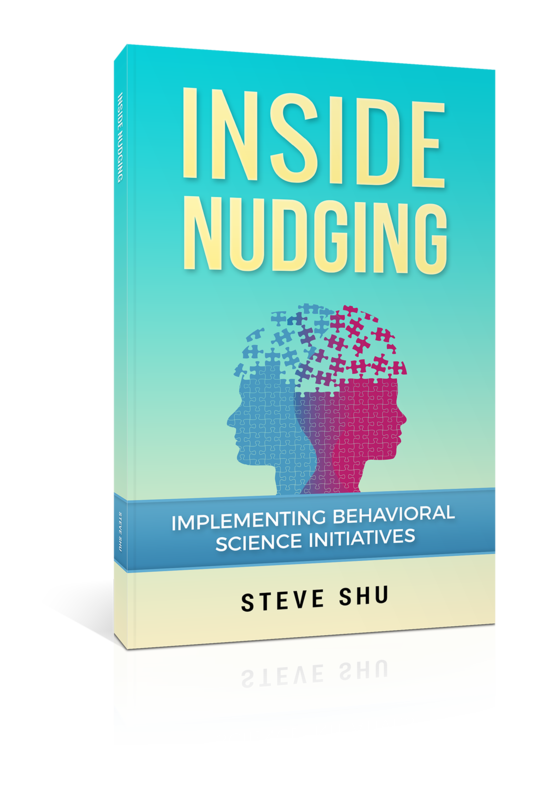 My new book, Inside Nudging: Implementing Behavioral Science Initiatives, will be released in June 2016. As we approach the year-end, I wanted to share some thoughts from my book, The Consulting Apprenticeship: 40 Jump-Ideas for You and Your Business. It is a technique that I’ve seen a number of operating companies and management consulting firms use effectively. I’ve usually called it the Spring Cleaning technique, to connote a sense of renewal that often comes with the pastime of cleaning and refreshing a home early- to mid-year. That said, the technique can really be applied at any time of year.